As evidence mounts on the threats posed by air pollution to both human health and the environment, action must be urgently taken to address this problem. China and India are not the only countries with an air pollution problem. Ninety-eight percent of cities in developing countries don’t meet World Health Organization (WHO) air quality standards, according to new research published by the UN body. There's little argument about the basic facts: It's ugly (think strip malls and big box stores). It's not very convenient (hours spent behind the wheel to get to work). And it wreaks havoc on the natural environment (lost farmland and compromised watersheds). Macau’s gaming boom just keeps on giving. Gambling revenues soared to a new high of 45 billion dollars last year, a whopping 18.6 percent rise over 2012 and the city’s sixth straight year of record earnings. “My nephew was eight years old when he stepped in the ‘munha’ [charcoal dust] and burned his legs up to the knees,” said Angelita Alves de Oliveira from a corner of Brazil’s Amazonia that has become a deadly hazard for local people. 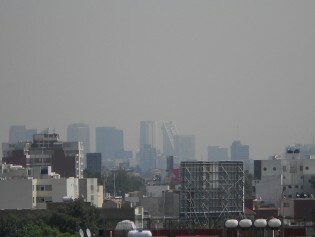 Mexican cities with populations of more than 500,000 face serious obstacles in monitoring air quality and reducing air pollution, but as of July local authorities will be required to do both, and to submit mandatory reports on their efforts to the federal government. In a megacity like the Mexican capital, plagued by air pollution and traffic jams, carsharing and carpooling initiatives offer obvious advantages in addition to the economic benefits enjoyed by users. The Coatzacoalcos river basin in southern Mexico is so polluted that you can sense the mercury in the air, feel it and breathe it, and the population living in the area is only too aware of its undesirable neighbours: refineries and petrochemical complexes that emit this toxic element into the air and water. With Barack Obama’s re-election last month as U.S. president, key environmental protections escaped a likely Republican chopping block, and new regulations are expected when his second term begins in January.